This plan is effective from 02/06/16. 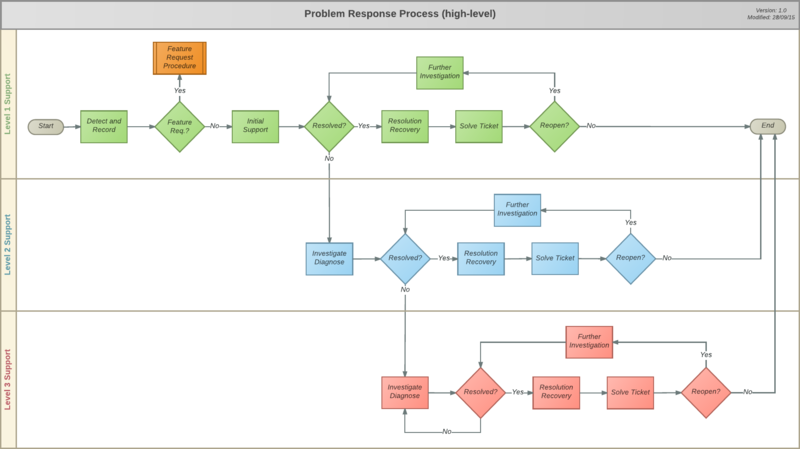 We follow the conceptual process of ITIL in our Problem Response Process (see below). When a Problem is recorded, the Ticket is assigned to the Team Leader by default. The Team Leader evaluates the Problem, sets the Ticket Type and Priority and assigns the Ticket to the relevant staff member. Task – Indicates that the requester's Ticket is a Task request. The Task Due Date is set based on the agreement with the Client after consultation. 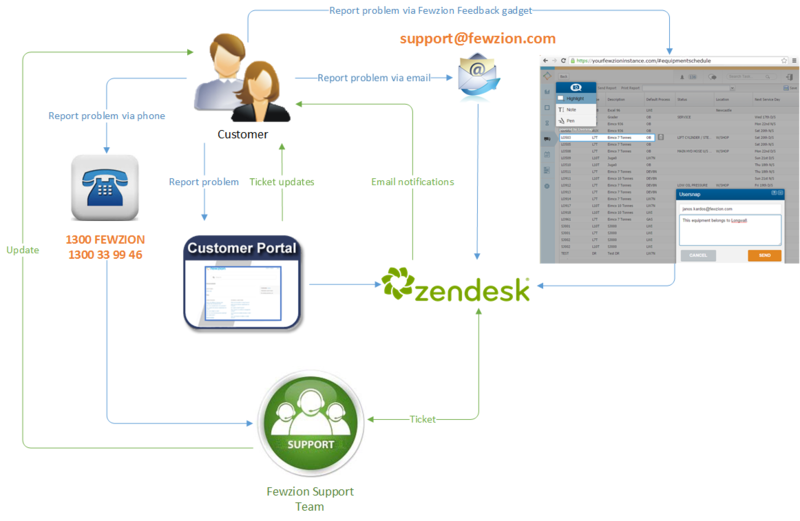 Problem – Indicates that the requester is experiencing a problem with Fewzion and/or the service. Incident – Used for occurrences of a Problem that affects more than one person. Priority defines the Resolution Time of a Problem by the Service Level Agreement (SLA). Fewzion has individual SLAs with clients. See an example below. This SLA needs to meet with Response Targets in respect of 95% of all logged Problems; and Resolution Targets in respect of 80% of all logged Problems. The Support Team member begins the analytical process to solve the Problem within the Resolution Time (SLA). During the problem solving, the Support Team member evaluates the Problem, establish remediation steps and communication with the Customer. This Support Team member might escalate the Problem to another level of support or assign it to other member of the Support Team. When the Problem is resolved and tested by the Customer, the Support Team member can close the Problem Ticket. When the Problem Ticket resolved, all of the associated Incident Tickets are automatically resolved.